I’m a notorious over-packer. As an experienced traveler, one might presume I’m an efficient packer. On the contrary, I fill every last crevice of every bag with things I might need. When Lottie Moon sailed for China, she packed her recipe for tea cakes in her trunk. Those treats provided countless opportunities for Lottie to share the love of Christ with those in her new country. If I were packing a trunk as Lottie did, filling it with ways God might use me to share the love of Christ with others, I wouldn’t fill every crevice of that trunk until it was bursting at the seams. I would leave empty space because that’s where I see God at work through me—in the moments of space I can offer to those around me simply through presence. My daughter and I were at the mall recently, hurrying to shop then rush home for dinner. A woman working in the store began a conversation, and a voice in my head was telling me to rush through this encounter. But another voice was telling me to pause. We soon learned that her husband of many years passed away recently. She talked about how hard it had been, how his inability to work in recent months is what led her to work in this department store. We stood in the sacred space we allowed to open in that moment on a Thursday night in a store with a woman we’re likely to never see again. We allowed space for her to enter our evening. We were present in that pause. 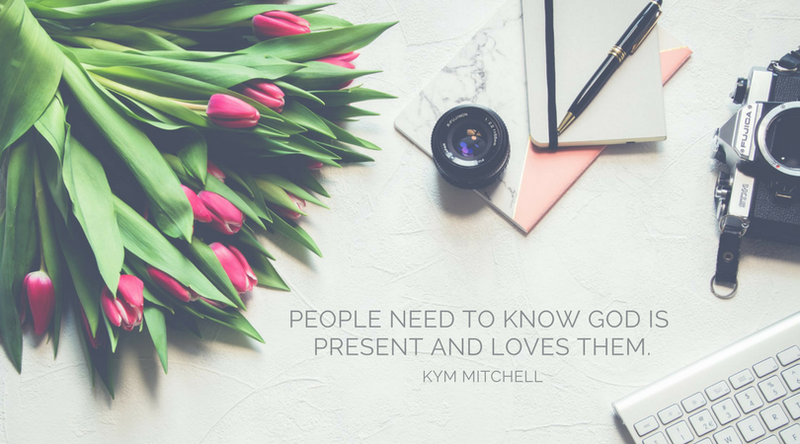 People need to know that God is present and loves them. One way God communicates to those around us is through our willingness to slow down and pay attention, to offer space, a quiet, safe place to share burdens. A recipe for tea cakes likely would not be in my trunk. But there would be plenty of carefully protected space in my trunk for God to use as He desires. The WMU Foundation invests in women who have a passion to be missions leaders. Support women’s leadership development with your gift to the WMU Foundation Second Century Fund. Give online or by mail to the WMU Foundation SCF, 100 Missionary Ridge, Birmingham, AL 35242. Written by Kym Mitchell, national WMU's editor for the Student Resource Team.